What’s more, these new rivals to EMC, NetApp and other established storage players actually have a bit of flair. Rubrik, for example, cites the “industry luminaries” backing it, channels H.G. Wells by referring to its product as a “time machine” and claims to be able to “eliminate backup software.” Tachyon, out of UC Berkeley, gets to play the open source card with its lab-hatched technology. 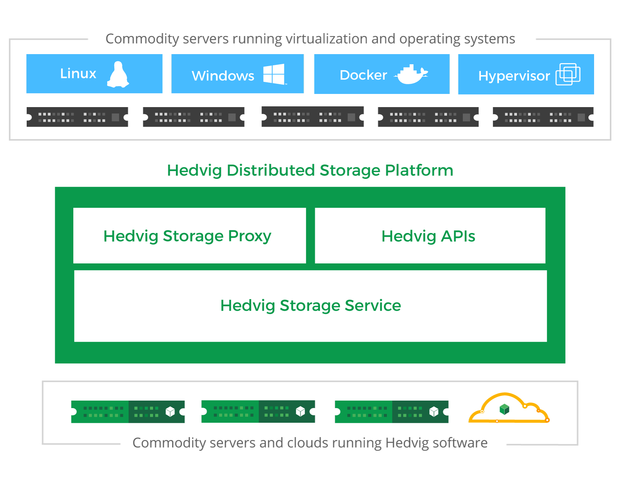 Others, such as Kaminario and Tegile Systems, are heavily into flash storage, while SimpliVity and Rubrik go beyond storage as "hyperconverged" players. Why they’re worth watching: This company, led by influential EMC and IBM storage veteran Moshe Yanai, started in 2011 but only revealed itself to the public in May upon receiving a $150 million funding commitment from TPG Growth. That brings total funding to $230 million, and the company’s valuation is $1.2 billion, leading industry watchers to believe Infinidat is headed toward an IPO (Yanai previously sold two storage startups to IBM). The company’s InfiniBox arrays combine hard disks and flash technology to deliver up to 2 petabytes of usable capacity in a standard 42U rack. Yanai boasts: “Infinidat is on the verge of revolutionizing the enterprise storage market with a dramatically simpler, more cost-effective storage solution offering unparalleled performance, capacity, and reliability.” The company also sells tools for storage and applications managers to maintain efficient virtualized data centers. Why they’re worth watching: Okay, we’ve made one exception to our criteria about companies on this list having announced funding this year. These guys are privately funded to date. But they’re still worth watching because of their management team’s pedigree, plus in June the company introduced an intriguing initial product dubbed the NSC-110 into beta testing, with general available slated for Q3. Infinite io is headed by CEO and co-founder Mark Cree, who previously led Cisco into the storage networking market. The company’s aim is to help customers exploit the cloud by using metadata-informed policies to store reams of inactive data where it’s cheaper to do so and to make frequently used data easier to access. What's more, the NSC-110 is designed to save space on existing NAS filers. Why they’re worth watching: Launched in 2008, Kaminario was an early player in the all-flash storage system market with its K2 arrays, and has now raised $143 million in funding and lined up dozens of partners (it added $15 million of that funding earlier this year). The company, whose CEO Dani Golan served as a fighter pilot and officer in the Israeli Air Force and formerly led new ventures at EMC, has a management team brimming with storage industry experience (CTO Shachar Fienblit, for instance, held storage leadership positions at IBM). The company is a regular at trade shows run by the likes of Citrix and VMware, and isn’t shy about touting the scale-up and scale-out options of its products that it boasts bring customers like Dot Foods and Taboola performance and flexibility. Nor does it hold back in critiquing the latest developments from rivals like Pure Storage.